Andrea Leadsom has defended Parliament’s early finish on Wednesday after Labour MPs accused the Tories of wanting to leave so they could attend a black-tie fundraiser for their party. 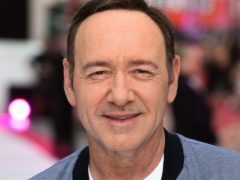 There has been political backing for the Old Vic’s work to “change the culture” in the arts world following the Kevin Spacey scandal. The leader of the House of Commons today promised: “Aberdeen and the north-east will benefit from Brexit” – despite more people from the area voting against the move. A senior UK Government representative has said there can be “no excuses” for administration problems after a city resident had a visa application snubbed. A former Aberdeen schoolboy has been eliminated from the race to become the next Prime Minister.